SPANISH BRASS has given hundreds of concerts across the globe, in such prestigious events and venues as the Great American Brass Band Festival, New York Brass Conference, Juilliard School of Music, Ithaca College, Festival de Musique de Radio-France, Granada International Festival, Lucerne Festival, Cheju Summer Festival (Korea), Schleswig-Holstein Musik Festival (Germany), National Auditorium (Madrid), Palau de la Música (Barcelona), Kalavrita Festival (Greece), International Horn Society, Merano Brass Festival and Trento Philharmonic (Italy), Barcelona Auditorium, Festival de Inverno de Brasília, and countless others. With their versatile programming and state-of-the-art staging, SPANISH BRASS has created such shows as 25 years! (brass quintet), Metàl•lics and Brass Brass Brass (educational concerts), Brassiana (with jazz trio), Make a Brazz Noise Here (a tribute to Frank Zappa), Les Aventures de Monsieur Jules (with pianist Albert Guinovart) and Metalls d’Estil (with singer Pep “Botifarra”). They have recorded 18 CDs, including the double CD “The Best of Spanish Brass,” and a DVD-CD. SPANISH BRASS has been in the forefront of international music education, giving courses and master-classes with the Spanish National Youth Orchestra, the Youth Orchestras of Catalonia, Valencia, Andalucía and Madrid, the Hong Kong Academy for Performing Arts, Trumpet Lounge (Japan), the Showa School for Performing Arts (Japan), Lieksa Brass Week (Finland), the Eastman School of Music, University of Georgia, Venezuelan Youth Orchestra, Dartington International Summer School (England), International Winter Music Festival of Brasilia (Brazil), Ibero-American Cultural Festival (Puerto Rico), etc. SPANISH BRASS also runs three major brass festivals in Spain, the SBALZ Festival in Alzira (www.sbalz.com), the Spanish BrasSurround (www.brassurround.com) and the Rafelmetall (www.rafelmetall.com). 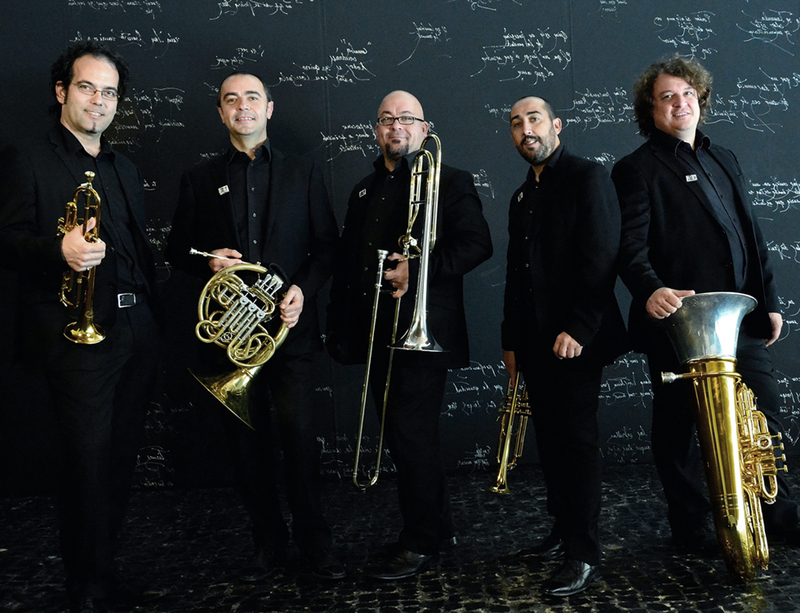 Spanish Brass currently teaches at the Berklee College of Music in Valencia and at the Universidad Europea de Madrid (Spain). They are sponsored by Buffet Group and play with B&S trumpets, Hans Hoyer horn, Courtois trombone and Melton tuba. Spanish Brass Luur Metalls is sponsored also by Culturarts/Música-Generalitat Valenciana and by the Ministerio de Cultura-INAEM.